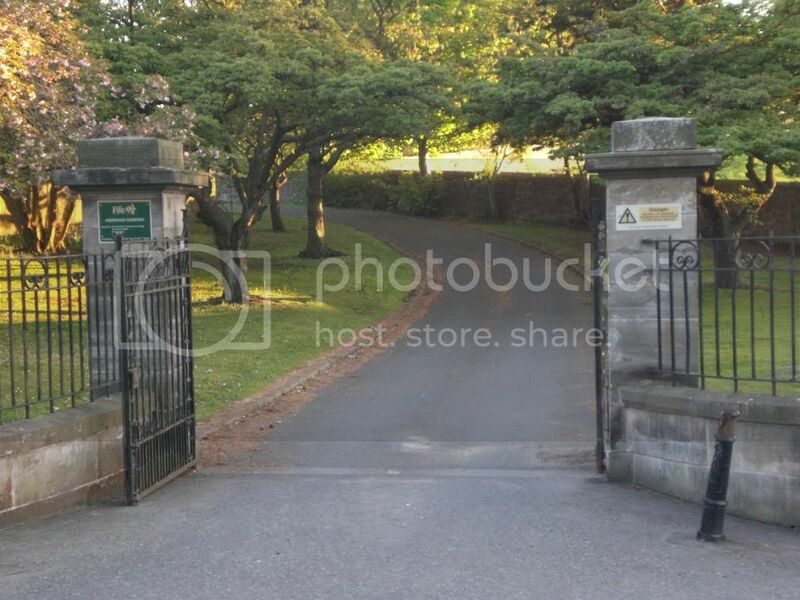 When travelling east through Aberdour on the A921 at the end of the High Street the road sweeps to the left, with the Railway Station entrance on the right. 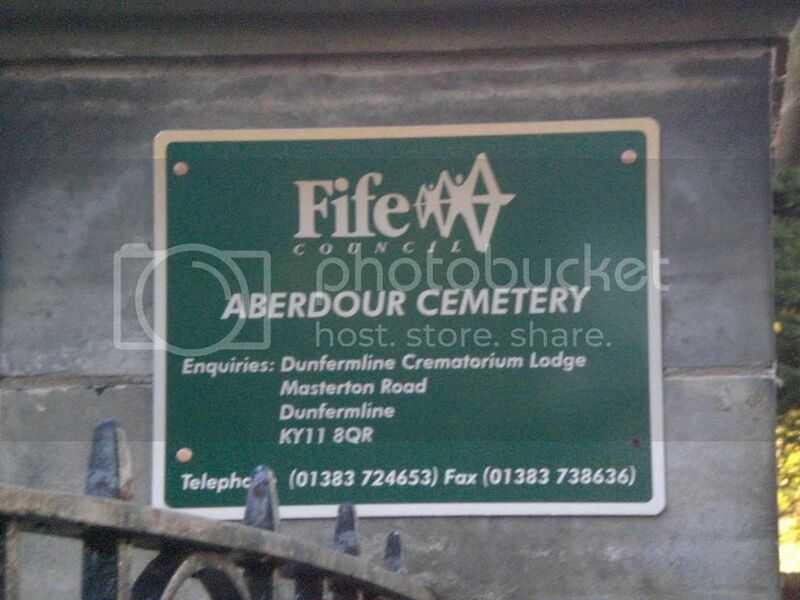 Take the first left signposted for Crossgates 3-3/4 & Aberdour Cemetery. 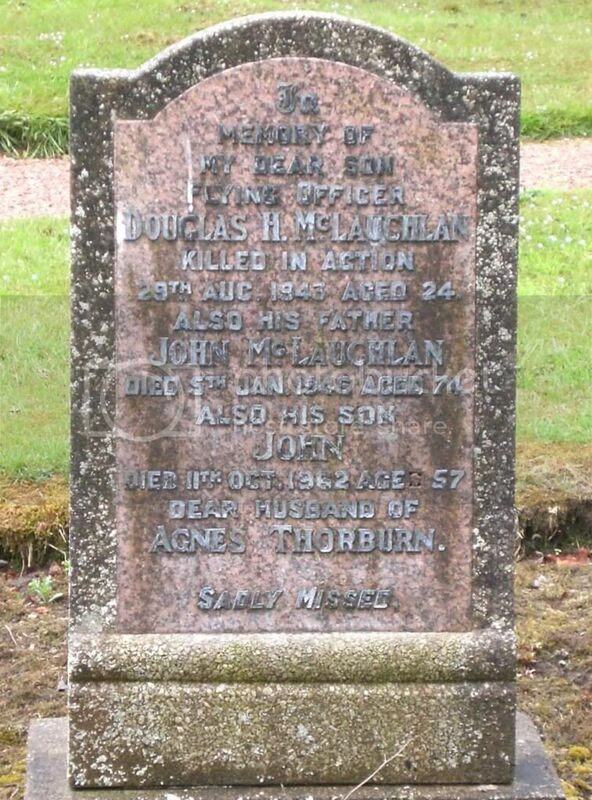 The Cemetery is approx 100 yards on the left. 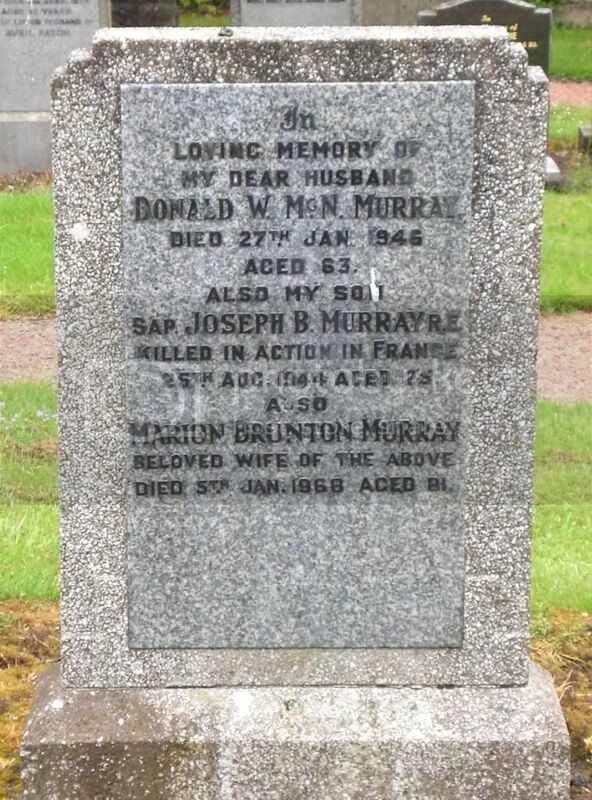 There are four graves listed on the Commonwealth War Graves website and an additional four family headstones which commemorate one of the fallen. Grave No. Sec. 3. Grave 58. 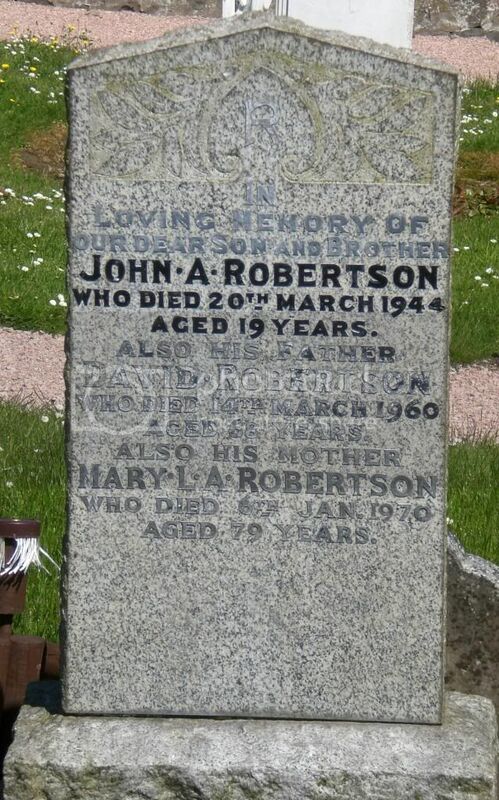 Additional Information: Son Of Walter And Margaret E. Collyer, Of Aberdour. 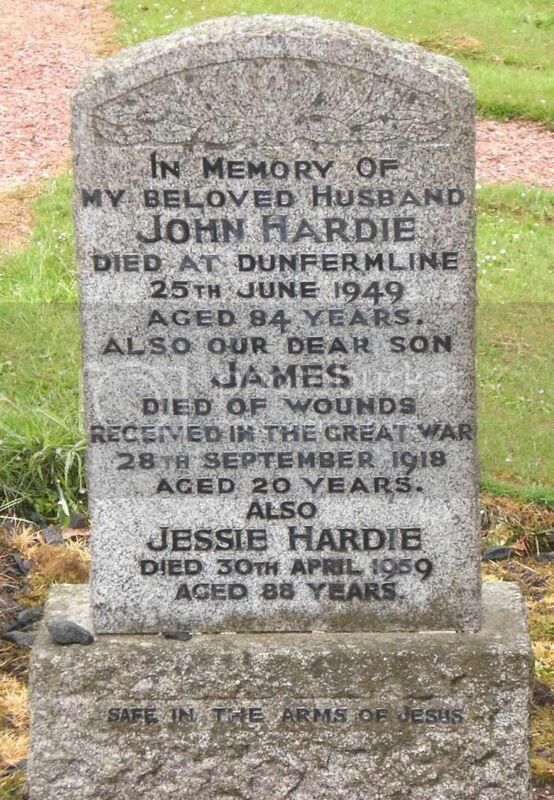 Additional Information: Son Of John Hardie And Jessie Hardie Died Of Wounds Received In The Great War. 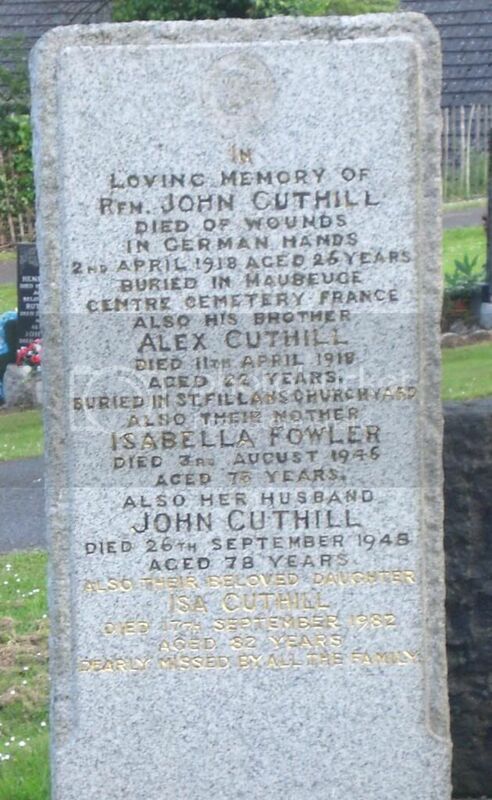 Buried in Grave No. 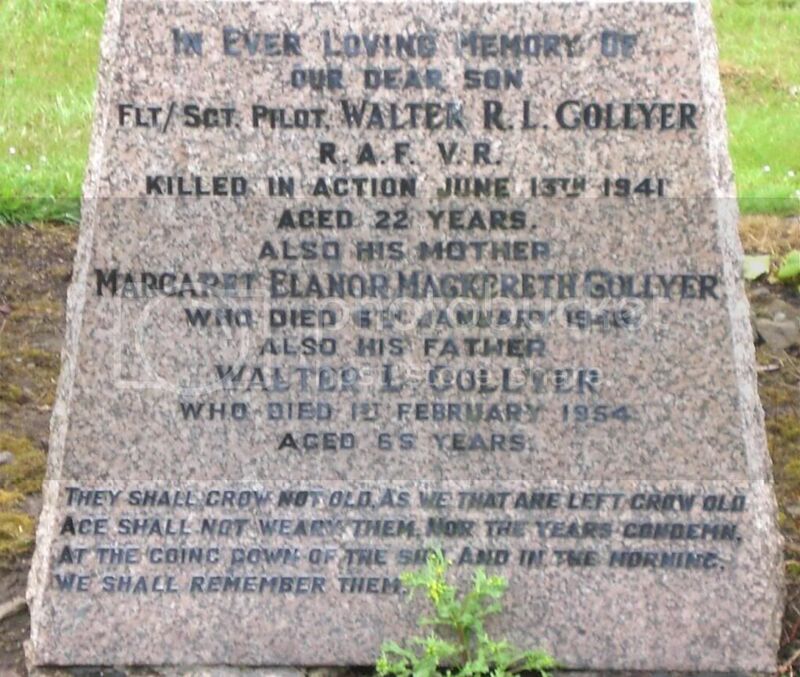 XIV B 10, Grevillers British Cemetery, France. 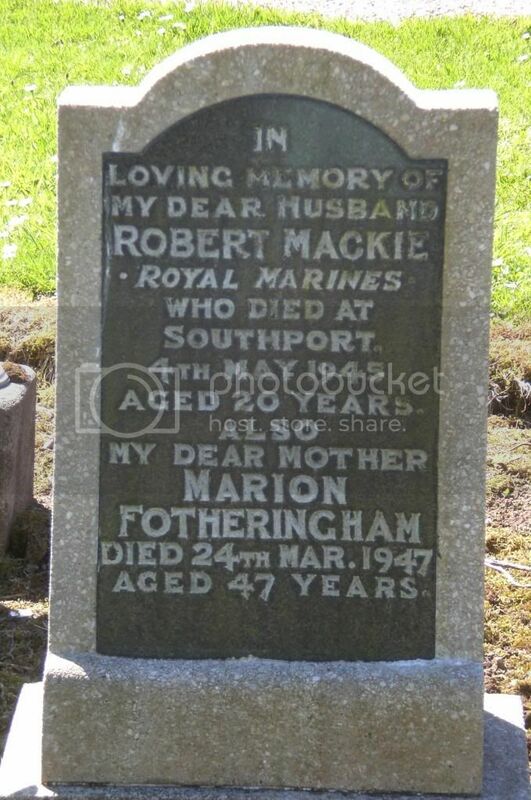 Additional Information: Son Of James Mackie, And Of Jessie Mackie (Nee Parish); Husband Of Ethel Rose Mackie, Of Lowton St. Marys, Lancashire. 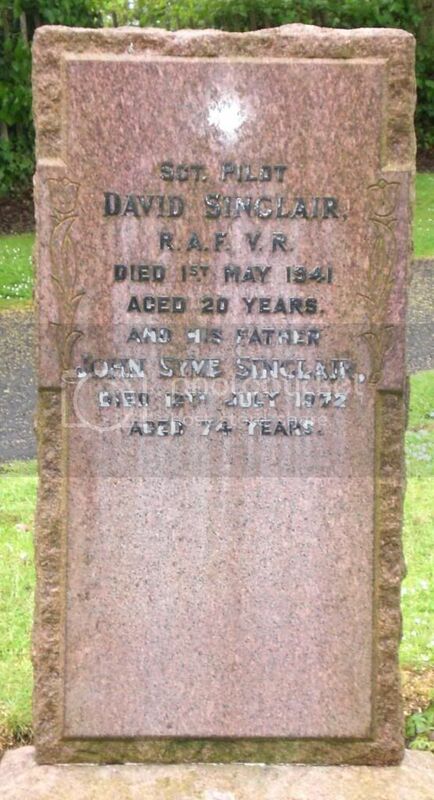 Additional Information: Son Of John Syme Sinclair And Jacobina Lauder Sinclair, Of Aberdour.